Der zweite Vorteil: Die Musikwiedergabe erfolgt in überzeugend guter Audioqualität. Der Nokia FM-Tranmitter CA-300 ist ein kleiner UKW-Stereo-Semder. FM Transmitter Nokia CA-300 (Blister). Hier sind Sie am richtigen Ort. TRIXES Bluetooth Hands Free Car Kit And MP3 Audio Player. This great looking Bluetooth V3.0 car kit allows you to answer your phone calls while driving and will play your digital music as well. 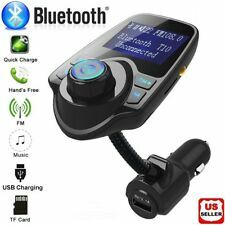 Just connect your Bluetooth enabled phone to the device and set the FM transmitter to your car stereo, you can either play music from your phone, from a USB device or directly from an SD card. Sendet direkt über die UKW-Radio-Frequenz an das Autoradio, Stereoanlage, etc. Songs vom Handy mit der UKW-Radiofrequenz hören. 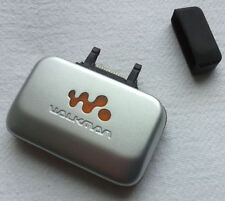 WALKMAN UKW FM-Transmitter. kompatibel mit allen Sony Ericsson Handys mit FastPort Anschluss. Handsfree Wireless FM Transmitter for iPhone 3G, 4GS, 4, 4s, 5, 5c,5S, 6, 6Plus, 6S, SE, 7, 7 Plus, iPod, for Samsung Galaxy. 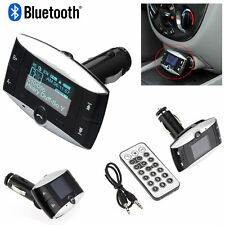 1 X 3.5mm In car Handsfree Wireless FM TRANSMITTER. Plug the other end of USB cable into the FM transmitter. Die Bedienung des MMR-70 ist kinderleicht. Der Sony Ericsson MMR-70 spielt die gespeicherten Songs vom dem Handy über den Radio ab. Das ist ganz besonders im Auto praktisch, da so das Brennen von CDs für den Unterwegs-Gebrauch entfällt. Cygnett Groove Transporter 2 FM Transmitter Remote - Black. your iPod while they play, through your 12V socket. These work with all dockable iPods. Listen to the tunes from your iPod through your car stereo! Zustand Sehr gut und funktionstüchtig. Wir sind ein tierfreier Nichtraucherhaushalt. Es wird genau das verkauft, was Sie auf den Bildern sehen. You may need an In-car FM transmitter to stream music from your phone, tablet, MP3, MP4, TF card, even USB flash disk to the car stereo system. Enjoy music on the go. Support IPod/iPhone- you can connect it through AUX socket on the transmitter (cable included) USB port is for charging ONLY your iPod/iPhone. 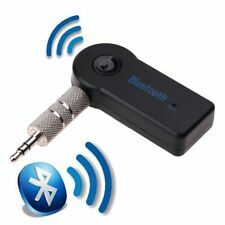 Bluetooth® Smart technology. ZeroTouch Air Vent: 38 mm x 38 mm x 31 mm. ZeroTouch Air Vent. For full music functionality, an active account with Spotify, Pandora, Google Play Music, or SoundCloud is required. Verbindung zum Halter über 3,5 mm Klinkenstecker zur Musikübertragung. Anschluss über Mini-/Micro-USB für die Ladung des Akkus, vorrausgesetzt Ihr Gerät unterstützt die Ladefunktion des Akkus über USB. Mit multifunktionaler Fernbedienung. 1x 3,5 Klinkenkabel. 1x Fernbedienung inkl. Kabellose Übertragung auf das Autoradio (Wiedergabe in Stereo ). Ausgangsstrom: 50-60mA. Ausgangspannung:DC 12v. Betriebstemperatur: 0°C~60°C. FM Transmitter Remote Cigarette Lighter Adapter For iPod & iPhone. Supports All of Apple Pod with Dock Connector including: iPod Touch / iPod Touch 2nd Generation / iPod Classic / iPod Classic 120GB / iPod nano Gen3 / iPod Nano 4th Generation / iPod Nano / iPod Photo / iPod Mini / iPod 3G/4G / iPhone 3G / 3GS / 4 / 4G / 4GS / 4S. It can be powered through your car's cigarette lighter socket(FREE adapter included) or 2x AAA batteries (not included) so you can take it and use it wherever you like. 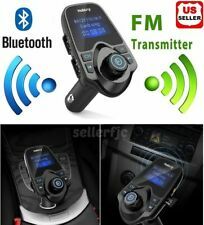 1 x Wireless FM Transmitter. Power source: 2 x AAA batteries or car power source (12/24V). You may need an In-car FM transmitter to stream music from your phone, tablet, MP3, MP4, TF card, even USB flash disk to the car stereo system. Enjoy music on the go. Built-in FM transmitter. 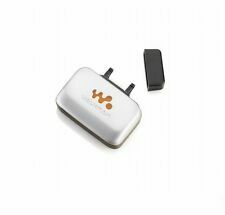 The device is in-car MP3 player, equipped with good performance module and MP3 decoder chip. Ladefunktion für iPhone (Ladedauer: ca. 4 Stunden). Sie sind zur Rückgabe gebrauchter Batterien als Endnutzer gesetzlich verpflichtet. Die auf den Batterien abgebildeten Symbole haben folgende Bedeutung. FM Transmitter the perfect way to get sound from your iPod, PDA, MP3 into your cars sound system. Universal Wireless FM Audio Transmitters iPod iPhone MP3 CD Cars Radio Kit 3.5mm. 1 White x Wireless Audio FM Transmitter. Full frequency FM transmitter. - FM transmitter mode: Stereo digital PLL locking. Bluetooth answer, hang up, reject, redial calls and other functions. Bluetooth stereo music play. Note: The frequency must be consistent for both of your car and the transmitter to get clear voice. In-Car Wireless FM Transmitter Hands Free For iPhone 4/ 4S/ 5/ 5S /5C/ 6 /6PLUS/ 6s Plus/Samsung /HTC. Music will be transmitted to the car radio stereo system and play while charging. Very high quality FM Transmitter. You may need an In-car FM transmitter to stream music from your phone, tablet, MP3, MP4, TF card, even USB flash disk to the car stereo system. Enjoy music on the go. Set one FM channel eg. 107.9 in FM Transmitter, LED display is given. Listen to your iPod or iPhone music through your car stereo with this FM Transmitter. Just plug your iPod/iPhone into transmitter and plug it into your car's cigarette outlet. It's that simple. If you are using an iPhone, you can use it as a hands-free talking device as well. You may need an In-car FM transmitter to stream music from your phone, tablet, MP3, MP4, TF card, even USB flash disk to the car stereo system. Enjoy music on the go. 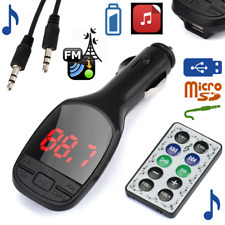 Built-in FM transmitter, full frequency: 87.5-108.0 MHz. TuneBase Hands-Free FM connects through your FM radio receiver, so you can listen to music on your iPhone 5 or iPod touch 5th gen with full stereo sound. TuneBase Hands-Free FM. TuneBase Hands-Free FM also lets you make and answer calls with the push of a button, even when you're listening to music. Uses Car FM Radio. Direct bank account to bank account transfer. You can arrange this online, by phone or in person with your bank. We endeavour to keep costs as low as possible and we will send the item by the cheapest option, for example. 206 canaux fréquences FM de 87.0-108Mhz. Lit les fichiers audio MP3 et WMA. Grand écran LCD. August MR260. To connect Bluetooth headphones and speakers to retro audio sources, the MR260 can plug into any 3.5mm headphone or audio out socket, and send audio through Bluetooth in perfect stereo sound. 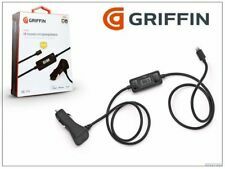 GRIFFIN ITRIP AUTO FM TRANSMITTER PER IPOD/ IPHONE. Suono GA22042 Griffin per Apple iPhone 4S Apple iPad 2 Apple Nano 6G Apple iPhone 4. Produttore: Griffin. Compatible : Apple iPad, Apple iPhone 3GS, Apple iPhone 3G, Apple Nano 3G, Apple iTouch. Mobile Spec FM Transmitter With LCD Display MSF30 New!! !